As you might remember, shortly after I received this short sale listing the homeowner received a notice that the 2nd mortgage had been sold to a new investor, and the servicing was also transferred away from Bank of America. There is absolutely no equity in the home to provide collateral backing for the 2nd TD, so it seems odd that any investor would want to buy it. Weeks later, the transferred loan is finally in the system at the new servicing company and I was able to speak to a representative. She informed me that we would need to submit a complete short sale package directly to them for review and approval. Now this is very different from what B of A told me…..they said that they would negotiate the approval with the new servicer. Hmmm. So, do I believe Bank of America and assume that they will take care of getting the approval for the 2nd, or do I negotiate directly with the new servicer? Well, I think we all know what assume stands for, so there is no way I’m going to trust that B of A will get anything done for us with the 2nd mortgage! I’m having my seller pull together all of their financials and required documentation for submission and I’ll negotiate directly with the 2nd lien holder. Meanwhile, we have yet to receive an offer, so at my request Bank of America has approved a second price reduction. I’ve been doing some heavy Internet marketing, so hopefully the lower price will help get the right buyers in the door, soon. Will keep you posted! Of all the articles I’ve written, posts about Bank of America and their Cooperative Short Sale Program seem to draw the most attention. Is that because people have been disappointed in the results? Or are they nervous about potential problems? Well, I thought it would be interesting to share the progress of a new B of A Cooperative Short Sale that I’ve just listed to see just how good, (or bad) the process really is now that the program has been around for a while. This sale is a bit different than most short sales I’ve done, as the owner had already begun the Cooperative program when I was hired. Thus a lot of the initial paper work was already in the system, and the bank had ordered an appraisal. The turn-around time on the appraisal was fairly quick, and I was pleased to see that the suggested list price approved by the bank was reasonable according to all of my research, so at least we are not dealing with an unrealistic starting price. We did lose a couple of days as I tried to connect with the B of A representative, who will be my primary contact, but we finally spoke and she seems pleasant and knowledgeable. So just when I thought this might be smooth sailing, the homeowner received a notice that the 2nd mortgage had been sold to a new investor, and the servicing also transferred away from Bank of America. So how do you sell a 2nd mortgage that is upside down? There is absolutely no equity in the home to provide collateral backing for the 2nd TD, so it seems odd that it was sold at this stage of the game. This of course throws a bit of a wrench into the works as I will now have to negotiate a totally separate approval with the new note holder, through the new servicing company…..once they even figure out that they have the account. Sigh. We will have to see how this affects the B of A approval process…really not sure what to expect at this point, but I’ll keep you posted. If you’re a California homeowner contemplating or in the process a short sale, here is some great news! On Friday July 15, Governor Brown signed into law Senate Bill 458 which prohibits a deficiency after a short sale for any 1-4 unit residential properties, regardless of whether or not the lender is the senior or junior lien holder. This means that neither the 1st or 2nd mortgage holder can demand that the homeowner pay for any deficiency, nor can they file a deficiency judgment. The law became effective on the 15th and applies to all escrows closing from that day forward. This is a huge relief for homeowners facing a short sale. Up to this point, it was often the practice for a lien holder to file a deficiency judgment or request payment of thousands of dollars, prior to allowing the short sale escrow to close. This was particularly true for 2nd lien holders who seldom recoup any money from the actual sales proceeds. The new law however, does not prohibit lenders from negotiating for payment towards the deficiency from other interested parties such as relatives, buyers, and agents. It also allows a homeowner to voluntarily make a contribution in the hopes of gaining a short sale approval. As 2nd lien holders will no longer be allowed to demand compensation from the homeowner, my bet is that we will see an increase in the number of requests for payment by 3rd parties…especially the buyer and the agents. So while this law is great news for homeowners in terms of avoiding recourse, it may present new challenges in negotiating approvals that are fair to all parties. Please feel free to contact me with any questions about this new law or subscribe to stay on top of the latest short sale news. The most frequently asked question about selling your home through a short sale is “What will this do to my credit?” Like most questions in today’s real estate market, there is no single answer. But the good news is that you may be able to buy another home much sooner than you think. There are many factors that determine the all-mighty credit scores, but generally a short sale will cause your score to drop by 100 – 200 points. 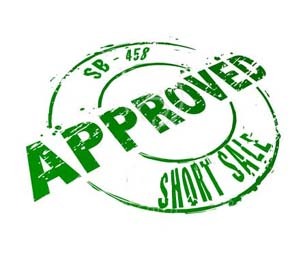 This is true if your short sale is reported as “settled for less than agreed”, and no deficiency judgment is filed. This is a critical point, and it is important that you and your Realtor carefully read the language used in any short sale approval. In California, SB 931 goes into effect on January 1, 2011 which protects borrowers from lender recourse on a 1st mortgage, but may still leave them vulnerable on 2nd mortgages. If you are unclear about whether or not your lender can file a judgment or if they ask you to sign a promissory note, consult with an attorney before signing anything! A deficiency judgment or other recourse will increase the long-term negative impact of the short sale on your credit. Another important factor is the length of time of default before the sale and whether or not a Notice of Default (NOD) was ever filed. For many lenders, the filing of a Notice of Default is nearly as derogatory as an actual foreclosure. A foreclosure stays on your report for 7 years and with either a foreclosure or NOD, you will most likely not be able to buy another home for a full 3 -5 years. However, with a short sale that did not include an NOD, you may be able to qualify in as little as 2 years, according to some lenders. This is another reason why it is important to act quickly once you realize you can no longer make your mortgage payments. Gradually pay down balances to a level that is 1/3 of your total credit line, but don’t close accounts. Better to pay them off, and use them occasionally. As short sales become more and more common on credit reports their impact on your non-mortgage credit will likely lessen, and even if you once again choose to buy a home, you may be eligible in as little as 2 years. Over the past two years we’ve seen an increase in the number of short sales as underwater homeowners try to avoid foreclosure. Realtors and Federal policy makers have applauded this movement as a means to encourage sales and spur the market recovery. Too often however, 2nd lien holders are blocking the short sale and forcing homeowners into foreclosure. In a short sale, the property is offered for sale for less than what is owed. Provided the final sales price is reasonable, and the homeowners can prove that they are unable to continue to make mortgage payments, most lenders will accept the short sale as it costs them far less to take the loss than to foreclose. However, if there is a 2nd mortgage on the property it becomes a much more complicated transaction. When there are two or more liens on the property, the 1st mortgage is in the primary position and when reviewing a short sale, the lender will generally approve only a token payment of $2000 – $3000 to the junior lien holder. So on a sale of a $320,000 property with a $400,000 1st mortgage and a $50,000 2nd mortgage the lender in the first position will recoup approximately 80% of the original loan amount (less fees and expenses), but the 2nd mortgage holder will recoup only about 5 – 6% of their investment. As a result, 2nd lien holders are in no hurry to approve a short sale and what develops is a sort of “chicken game” between the negotiator for the first mortgage, the negotiator for the 2nd, and the Realtor or negotiator representing the homeowner. The poor buyer who is trying to purchase the home is at the mercy of everyone involved. Often the lender in the 2nd position will ask either the homeowner or the buyer to come up with additional funds to at least get them a 10% return. Although this might only be a few thousand dollars, that might be enough to kill the deal. For the 2nd lien holder, they might choose to just wait for a better offer where the buyer will agree to pay, or they will agree to the sale but file a deficiency judgment against the homeowners. According to CoreLogic, a company that tracks foreclosure data, of the 1.33 million homes that are in some stage of foreclosure, over a third have a 2nd mortgage. Many of these 2nd mortgages were underwritten to allow the homeowner or buyer to borrow 90 -100% of the home’s inflated value. Sorry if I’m not sympathetic, but it was a risk the banks knowingly took. The strategy back-fired as values plummeted, but now the banks holding these 2nd mortgages need to just write-off the loss and get out of the way. How to protect yourself in a short sale transaction with a 2nd mortgage? Make sure your Realtor knows how to play the game.